Everyone has their preferences when it comes to comics. Some readers might want a simple story where a villain shows up wrecks house and the heroes eventually overcome the odds. 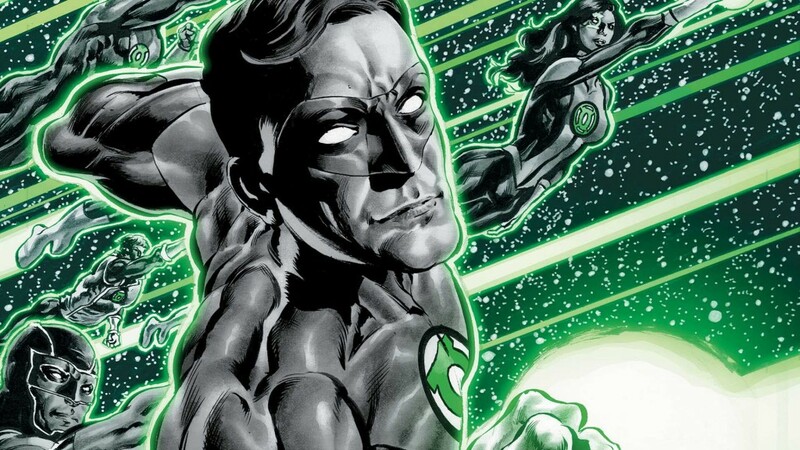 Other readers want a deep experience, and for readers who prefer the former instead of the latter, then Green Lanterns #56 is perfect for you. From a writing standpoint, there really isn’t anything wrong with this issue. It’s just a very safe comic book, part of me believes its because the new Green Lantern debuts next month so it wouldn’t be the best idea to start a deep plot point that most likely will get ignored when the new creative team takes over. Jurgens delivers a fine script that tells a perfectly fine story, it’s just not simply the most original or inspiring issue from this run. It’s a bit of shame that while Hal Jordan & The Green Lantern Corps gets the emotional climatic ending, Green Lanterns will get a forgettable Cyborg Superman story in which the main characters for this series lost their spotlight in favor for a ensamble cast. Similar to my praise of the last issue, I still continue to enjoy how Jurgen’s writes Hank Henshaw. While I enjoy my post modern villains, there’s a charm to a bad guy when the hokey level is dialed up to a ten. It’s fitting really, after all Cyborg Superman is a product of a bygone era. Yes he had his post modern moment during the Geoff Johns era of Green Lantern, but this feels like the same Henshaw from 1993. Even though the overall story of this issue was by the numbers, it was nice to see a villain be this over the top. As for the revisiting the destruction of Coast City? I’m kinda hoping they bring back Parallax, but who knows at this point. Despite my lack of enthusiasm of the story, Mike Perkin’s pencils remain stellar. I’ll admit that this issue, certain pages seemed a bit muddier than others but the overall dark aesthetic remains perfectly intact. Maybe I just love Hank Henshaw, but I love his facial expressions for Henshaw. I’m pretty sure the cyborg part of Henshaw’s face isn’t meant to convey any kind of emotion but Perkins channels Henshaw’s rage perfectly in his face. Always find a silver lining in the things you consume and with this issue of Green Lanterns its Mike Perkins’ pencils.